The South African Krugerrand 1 oz gold bullion coin was the #1 choice for bullion buyers well before other world governments decided to mint their own modern day bullion gold coins. Introduced in 1967 by South Africa, the country's mines still enjoy some of the largest gold reserves found throughout the world. This particular gold coin was the ‘go-to’ bullion coin during the last 1970s to 1980s gold bull market. 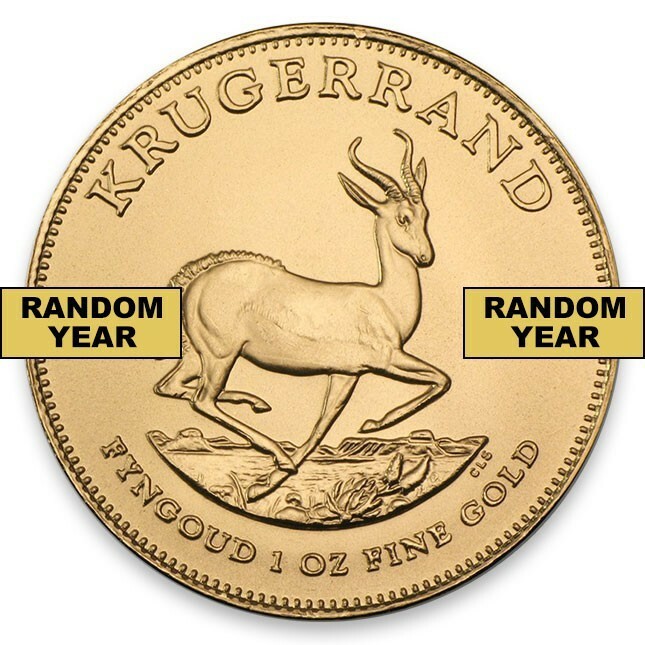 Nearly 22 million South African Krugerrand gold bullion coins (thats +684 tonnes of gold coin) were sold to bullion buyers in the USA alone between 1967 and 1979. Has 1 troy ounce of gold overall. Made of 22k or 91.6% pure gold. Overall 1.0909 troy ounce weight. Multiples of 10 are packaged in mint tubes. Singles ship in protective plastic slips. Honors South African statesman Paul Kruger. One of the most popular gold coins in bullion buying history. 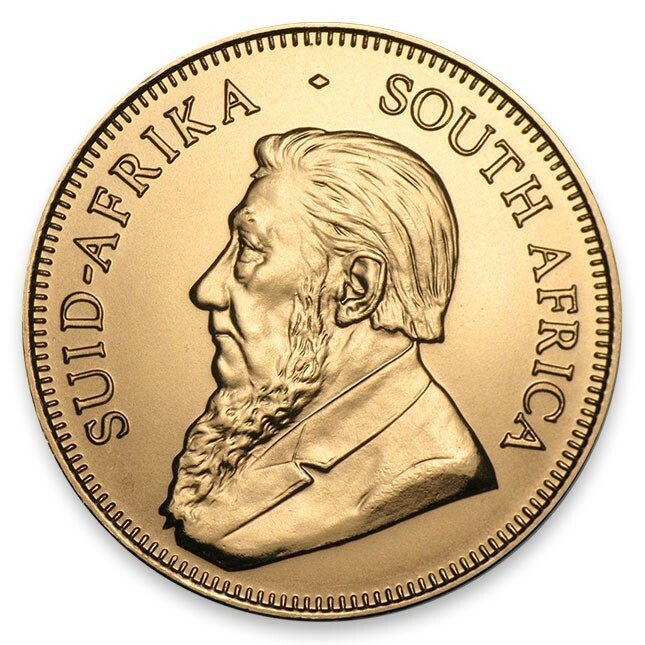 The front of the coin has an image of President Kruger, who dominated the military and political affairs of South Africa in the 19th Century. The back of this coin has a Springbok antelope, the national animal of South Africa. These antelopes are named after their spectacular jumping ability. Dates on these popular gold bullion coins will be determined by stock on hand and will be our choosing. There is no reporting requirement for this bullion coin when you purchase from Monument Metals. If you sell 25 South African Gold Krugerrand 1 oz coins or more, it is reportable on IRS 1099B by any domestic gold dealers. Your single sale of less than 24 coins or less is not reportable by gold dealers. Gold Krugerrand coins are an international symbol of wealth and prestige, and are perfect additions to your collection. Due to their global popularity and the South Africa Gold Krugerrand coin’s roughly 50 year existence, there remains extreme liquidity for these specific gold bullion coins all over the world. In stock with free shipping on all orders of $99 or more!